Buy #401 – 500 Gill Tear Tag Competitors Numbers at Discounted Prices ✓ FREE DELIVERY possible on eligible purchases. 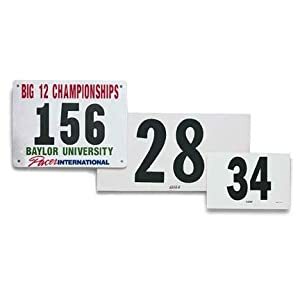 Race Numbers official competitor tryout tyvek bib numbers, set of 100, (any 100 from 1-1,000) 4″x7″, industry standard tyvek tearproof & waterproof. SELECT SEQUENCE USING “SIZE” choice.